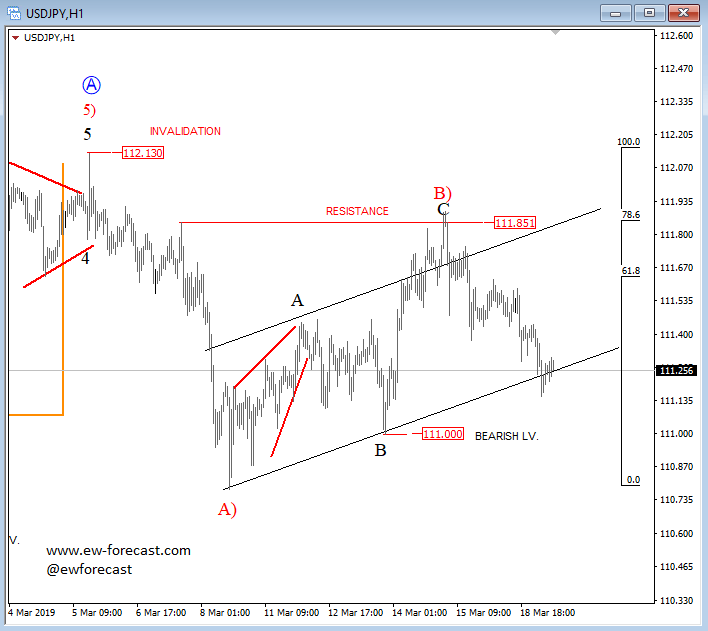 USDJPY is testing the upper side of a corrective channel so there is a chance for a red wave C) to be in progress to new low of the month. 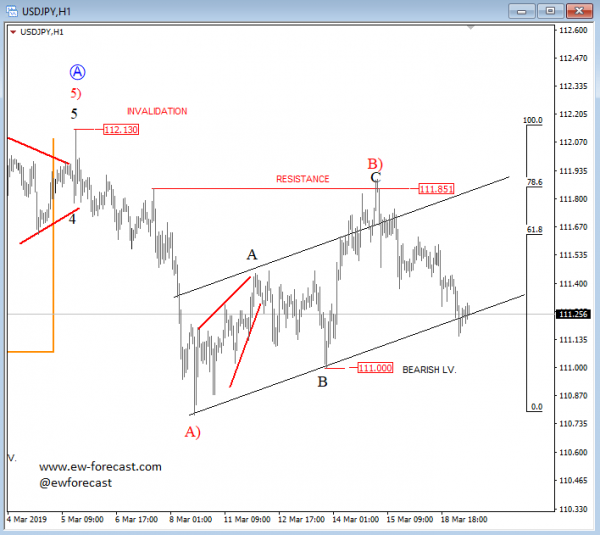 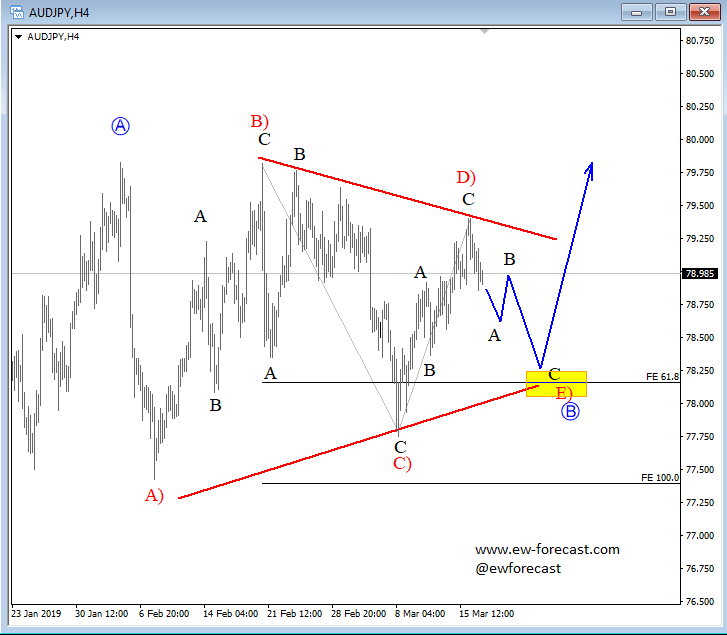 At the same time, this may put some downside pressure on JPY crosses as well, AUDJPY in particular where I anticipate wave E to complete a triangle. 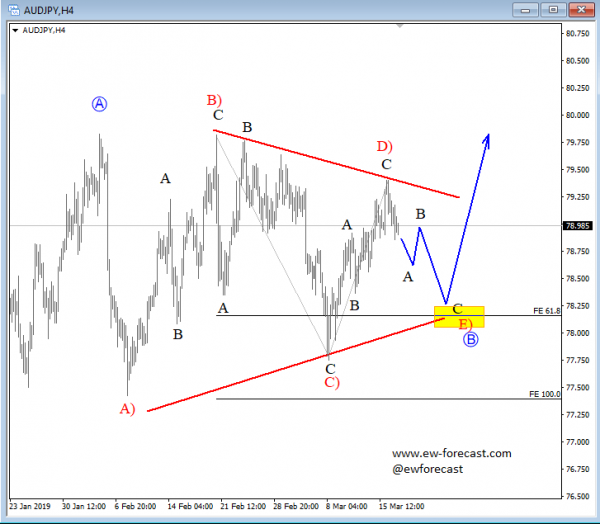 This AUDJPY can actually be a very nice long opportunity after a complete path, if at the same time, 10 year US yields will start turning higher.